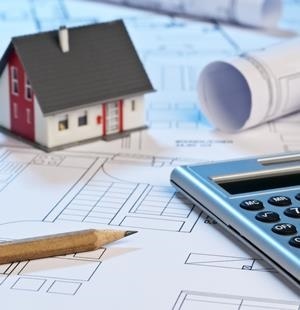 Cape Town - Youth are stepping into the property market with vigour, but they are also struggling to keep up with payments, a leading credit bureau has revealed. According to data by Compuscan to the National Credit Regulator (NCR) there was quarter-on-quarter increase in the number of young people, between the age of 18 and 29, who had been granted mortgages. Most notably, in this age category, there was a significant increase of 21.8% in the number of mortgages to the value of over R3m. The credit bureau’s data, however, also revealed that consumers in this age bracket, in particular, were struggling to keep up with their mortgage repayments. “Amongst the youngest group of credit-active consumers, there was a substantial 8% quarter-on-quarter increase in the total number of open mortgages," said Compuscan senior data analyst Jacobus Eksteen. Although Compuscan’s data revealed an increase in the number of mortgages granted to this younger age group, the credit bureau’s data further indicated that there was a steep increase in mortgage accounts across most balance groups that had been subject to adverse enforcements. This was the only age category that reflected such notable increases in the percentage of mortgages with adverses, pointing to the struggle that these consumers may have been facing to stay afloat financially. Eksteen said mortgages to the value of R300 001 to R500 000 reflected the highest increase in accounts with adverses in this age category, followed by accounts to the value of R300 000 or less and those to the value of R500 001 to R999 999. "We suspect that these consumers bit off more than they could chew and were thus struggling to keep up with their repayments. We are concerned that these consumers might have been overly optimistic during their affordability assessment, or might have come under increased financial pressure due to increases in the cost of living." He some might not be aware of the consequences associated with slow- or non-payment and thus don’t pay their instalments in a timeous manner. Compuscan’s data further revealed that there was a significant quarter-on-quarter increase (18.65%) in the number of telecommunications accounts to the value of R500 or less that belonged to 18 to 29 year olds. This was the highest increase in this account type listed as open on the bureau amongst all age categories, similarly suggesting that more young consumers had gained access to credit. Compuscan said it is likely that a number of these consumers did so with the aim of building a credit record to take on other forms of credit, like mortgages. “Indeed, we encourage consumers to build a healthy credit record, but we also stress the fact that any account opened by consumers – whether it is a mortgage account or a telecommunications account – needs to be managed well," said Eksteen. He said consumers need to be aware of all of the costs involved with credit, such as interest, and need to assess whether it is feasible to proceed with a commitment of this kind in light of their affordability. On the whole – across all age categories – there was a 10% decrease in the total number of open and active accounts of all types listed on the bureau. The total number of credit-active consumers as at the end of Q3 2016 was recorded at just over 28 million. There was a 4% increase in the number of consumers whose worst position on their report was “3+ months in arrears” and a 2% increase in the number of accounts that were 3+ months in arrears. Another worrying trend that was revealed by Compuscan was a 16% increase in the number of store cards that were listed as 3+ months in arrears and a 12% increase in adverse enforcements on store cards. Fortunately, there was a 16% decrease in fixed-term short-term accounts that were 3+ months in arrears and a 29% decrease in this account type with adverse enforcements. The number of open accounts of this type decreased by 14%.